Desktop composition is also known as Aero. It can either be disabled globally or on a program by program basis. 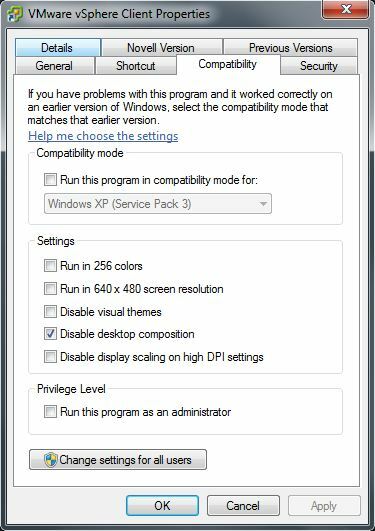 Having it disabled while running such things as 3D games may provide a performance bump. Right-click the shortcut for the VMware vSphere Client and click Properties. When you open the VMware vSphere client now you will see that the aero will be disabled and the vSphere client will preform normally. When you buy a Microsoft Windows 7 in the store, the only version you can install is the version you bought. Well there is a trick to show all the versions this way you can install any version you want from basic to ultimate. Yesterday on a nice evening I wanted to upgrade my HP Mini to Microsoft Windows 7. The HP Mini doesn’t have a CD/DVD-ROM drive on board as many mini notebooks. I had two options connect a external dvd-drive or create a bootable USB Stick. There is not much fun in just connecting a external dvd-rom drive so I went for the option of creating a bootable Microsoft Windows 7 install stick. 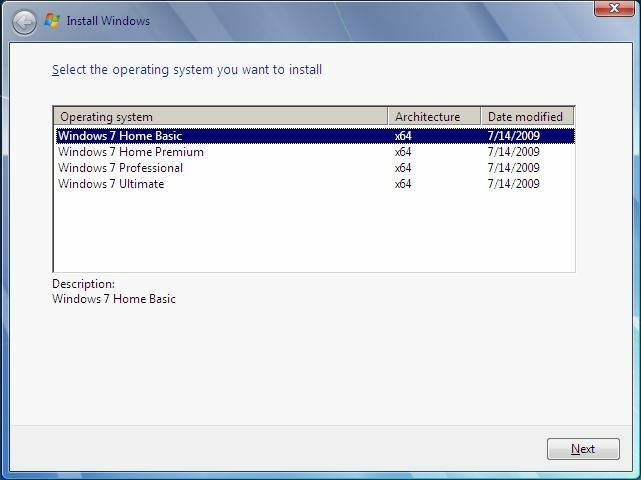 Surfing the web searching on how to create an installable Windows 7 USB stick, I noted there where some different options in creating one. I tested them out and will explain them. A computer or virtual machine to test the USB boot stick.